The Tom Slick is literally a road tire for your mountain bike, light, fast and quiet. It is best suited for mountain bike riders who want to spend some time training on the road but don't own a road-bike. It is also a very good option if you are planning to use your mountain bike on a stationary trainer. 100 psi max. 26x1" (25-559). Black tread with black sidewall. Wirebead. 320 grams. 24 of 31 customers found this review helpful. FAST FAST FAST ! super fast tire ! With this, u can beat any mountain biker without a doubt On pavement . U will lose around 2 inches of height on your bike. 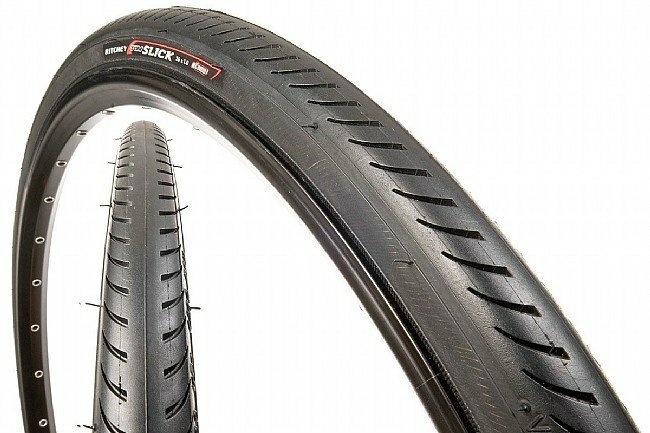 I'm using these tires on my Schwinn protocol 1.0 bike with 21mm inner rim width without a problem. Best tire I ever own !